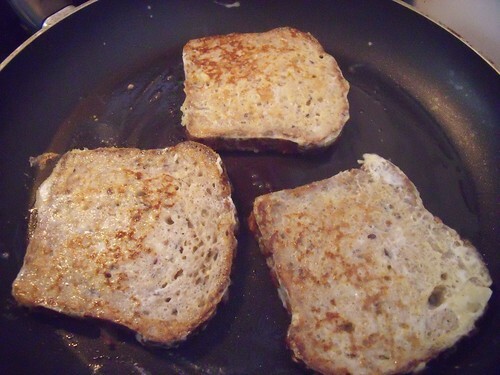 This is my go-to French Toast recipe. It came about after I made an amazing dessert for Christmas dinner a couple years ago with poached pears and a cream cheese topping that had both vanilla and almond extract added to it. The combination wowed me, and it sprung to mind when I made a French Toast breakfast a few days later. Ohhhh yess, perfection. I don’t normally need a certain brand in any recipe, but I no longer make French Toast with anything besides Ace Bakery Organic Granary bread. I keep a loaf of it in the freezer so that if people stop by for breakfast I always can put something together. It’s a glorious whole wheat loaf with tons of nuts and seeds — to my mind, the sunflower seeds are the best part. 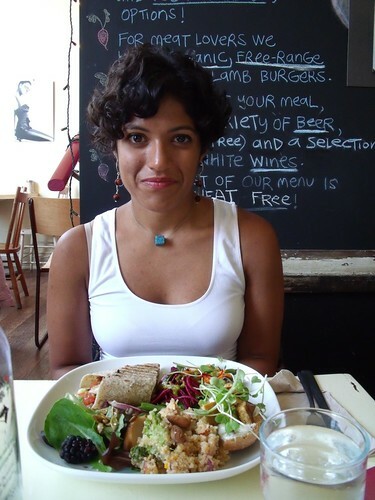 And my dear friend, Pemma, is a super-fan of this recipe. In fact, she special-requested it’s appearance on the blog. So, Pem: this one’s for you! 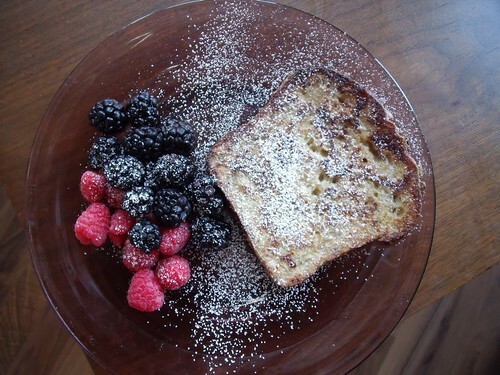 Back to French Toast… This morning we served it to our special houseguests from Boston. 3 Opera Singers and a Violinist in one apartment for a weekend… it’s noisy and way too much fun. In a shallow bowl, mix together egg, milk, almond extract, vanilla, and orange zest. 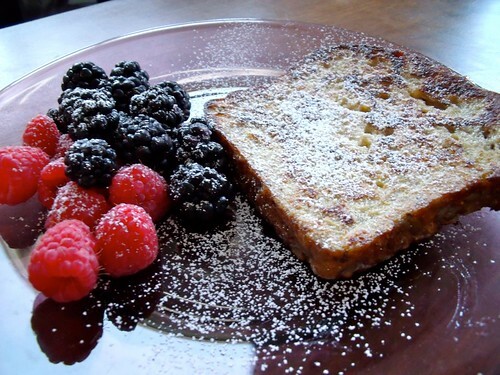 Soak each slice of bread in the egg mixture until it is saturated on both sides. Heat the butter in a pan over medium heat. Once the butter has melted completely, add the egg-soaked bread, and cook about 4 minutes each side, or until golden brown. Sprinkle with icing sugar and serve with berries. Not too eggy, just how I like it! 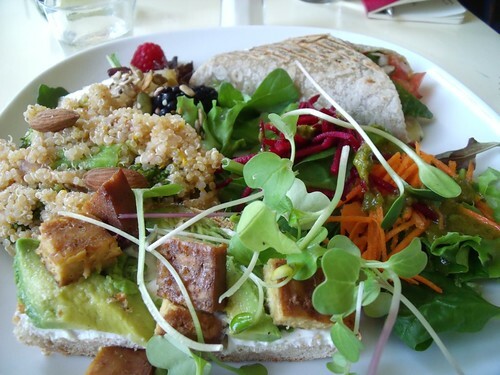 And we should have a date to the cafe… definitely! What a lovely treat to make!! 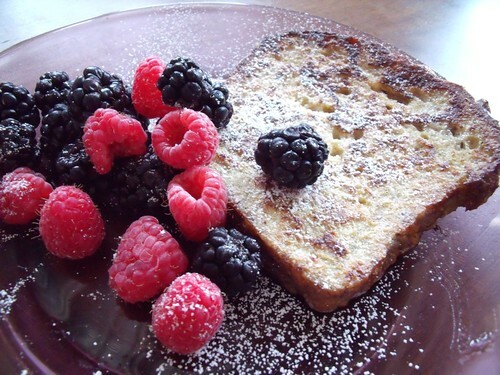 I’ve been craving french toast and I love this healthy alternative!